Have your ever thought about this? You get a cab in 3 minutes but not an ambulance. Why? More importantly, how can we save lives in medical emergencies? We have a solution - G1 First Responder. Watch this video to know how our solution works, how we have saved lives in 2018 and how WE all can change this in India. Don't worry, we have a solution for you. Introducing India's first and only integrated medical emergency service app in partnership with GVK EMRI 108- Call Ambulance. 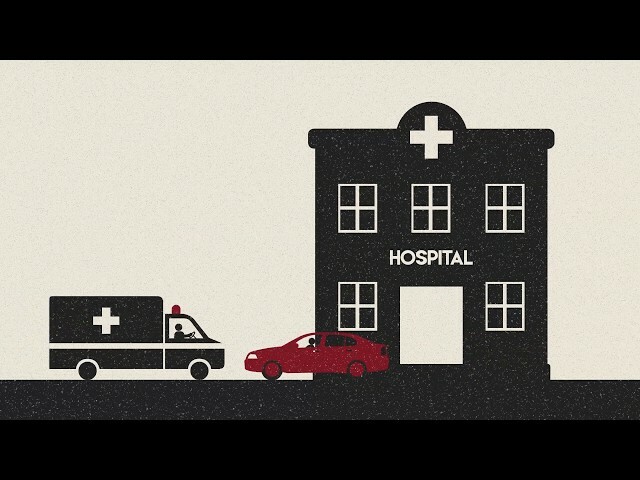 G1 prepares you to respond to an emergency situation by simplifying the process of calling an ambulance. Unlike a regular call for an ambulance service, we prepare your preferred hospital and the paramedic with your health records and insurance details prior to arriving at your location. - When you call for an ambulance through our app, we compile your health and insurance records. - The hospital will dispatch an ambulance with a paramedic who is equipped with your information allowing him to better handle your emergency situation. - The Ambulance will be able to reach your location through GPS tracking thereby reducing the response time. - Lastly, we also send an SOS message to your emergency contacts. - The app isn't restricted to a single account, you can add multiple members of your family on your account. - Ability to upload your health records like prescriptions and diagnostic reports. Watch this video to understand how to help a victim who has fallen from a height or injured his back. How to treat minor burns. Burns are damages to the skin caused by dry heat, like extreme heat, flame, contact with heated objects, or chemicals. In this video, learn what to do if someone has suffered a burn. Do not apply any oil or talcum powder to the burn injury. Do not apply moisturizer, toothpaste, honey ink or any such fluid. Do not dab with ice mud or dirt. Do not burst or rub any blisters. Hold the burnt area under running water for 10 to 15 minutes. The burn injury may be tied loosely with gauze without using cotton. If the Victim doesn't have any other health concerns, a pain killer such as ibuprofen may be given. Consult a doctor for further advice. Subscribe to our channel and get more videos that can help you be prepared for any emergencies.